You don’t want to cut any corners when dealing with a water-based disaster, which is why you should call the water damage Huntington Park unit at 911 Restoration Los Angeles as soon as you notice any usual dampness or stains in your home. When it comes to any incident that deals with water it is important to get the situation remediated immediately. The longer the moisture sits, the more damage it can do. In order to accommodate you around the clock, we keep phone lines available 24/7/365, which allows us to get water damage Huntington Park experts to your home within 45 minutes or less. You can count on us to implement same day services as soon as we get on the scene, starting with a free home inspection to determine the scope of the work at hand. Call us today and our water damage Huntington Park professionals will do whatever it takes to get your home dry and clean in no time. 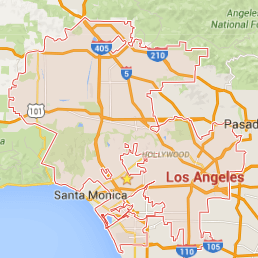 The temperatures of Los Angeles make it easy for mold to infest your property. All the spores need is moisture and time, and before you know it, fungus can be growing all throughout the property. 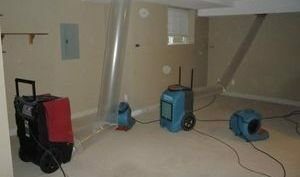 When water damage is left unmitigated, humidity can cause the mold spores to grow rapidly, affecting both the structure of the house and health of those living inside of it. Inhaling mold particles can cause residents to experience allergy-like symptoms that can become debilitating, such as coughing, headaches, sneezing, itchy eyes, wheezing, trouble breathing and even asthma. 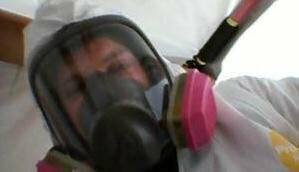 The health of our customers is the most important thing to us, so when you hire us for the job you can be sure that we won’t leave until there us no trace of this potentially harmful substance left in your household. 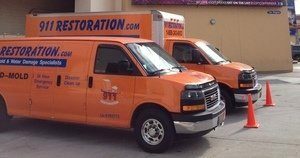 Call our water damage Huntington Park agents as soon as you notice any signs of water damage or fungus growth, and we will provide you with a free visual mold inspection as soon as we arrive. With so many years of experience cleaning up water emergencies, our water damage Huntington Park team knows how much of an effect these situations have on homeowners. It can leave you feeling overwhelmed, to say the least, which is why we are here to be your shoulder to lean on the entire way through. We just want to make the remediation process as easy as possible, so we are happy to take over everything as soon as we arrive on the scene, and we mean it when we say everything. Our licensed, bonded and insured water damage Huntington Park staff are qualified to do it all, from orchestrating the entire renovations work to helping you understand your insurance policy. Working with insurance companies is something we are very comfortable doing, so, if need be, we will file your claim for you, submitting all the information your provider needs to get you the best possible coverage. So, call our water damage Huntington Park technicians at 911 Restoration of Los Angeles today to get the most affordable and competent flood and leak repair in the industry.